Occultatum by Menny Lindenfeld Trick. 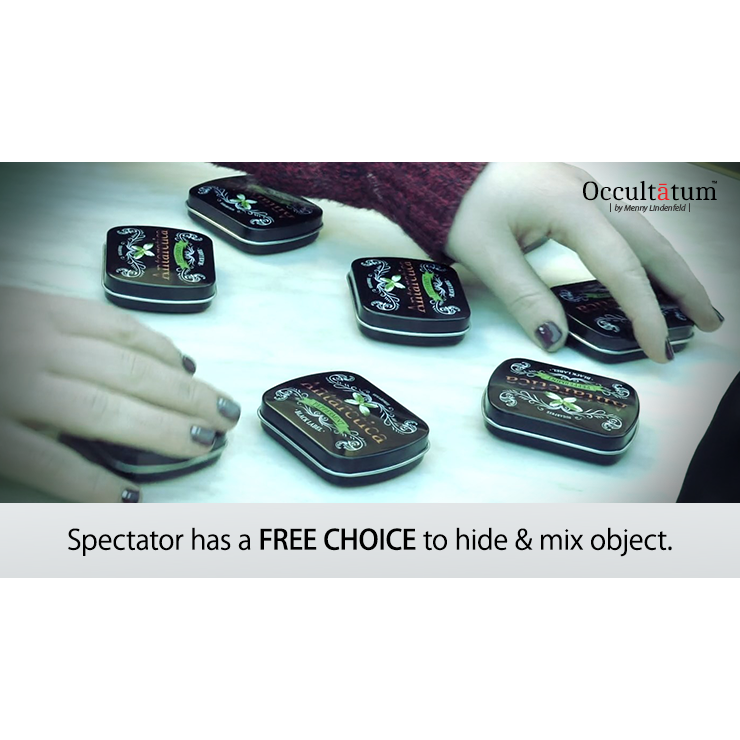 This mentalism effect will knock your spectator's socks off! "Menny demonstrated Occultatum over and over again, each time discovering the coin I've supplied and hidden myself. I have no idea how he did it. MENNY BLEW MY MIND!" 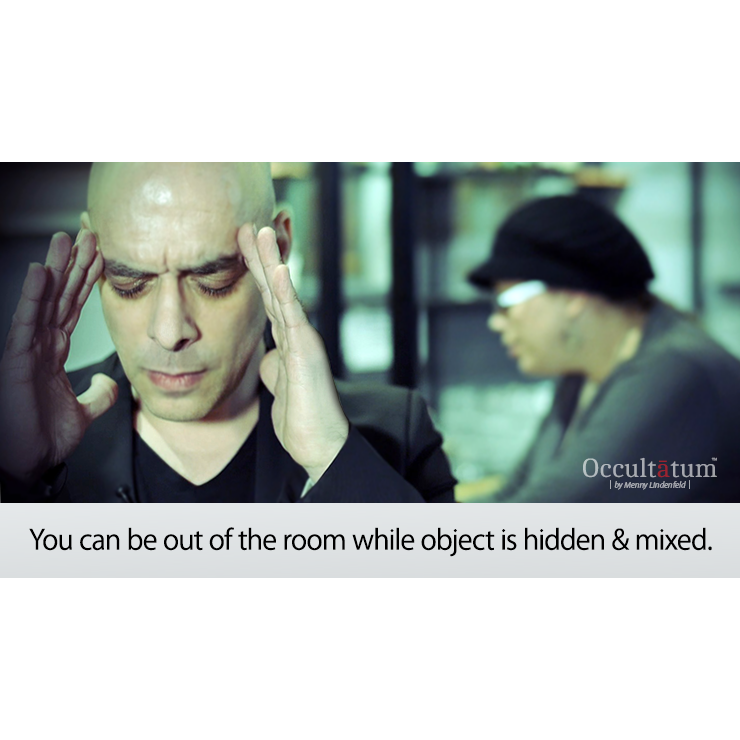 We are super excited to bring you Occultatum - one of Menny Lindenfeld's most closely-guarded underground secrets in mentalism. Occultatum ("Hidden" in Latin) has been Menny Lindenfeld's secret weapon for over a decade. It is a PSYCHOLOGICAL SYSTEM that helps you detect a hidden object. And yet, without the use of electronics or magnets, and WITHOUT ASKING THE SPECTATOR ANY QUESTIONS, you are able to guess where the object hides - using the Occultatum psychological system. 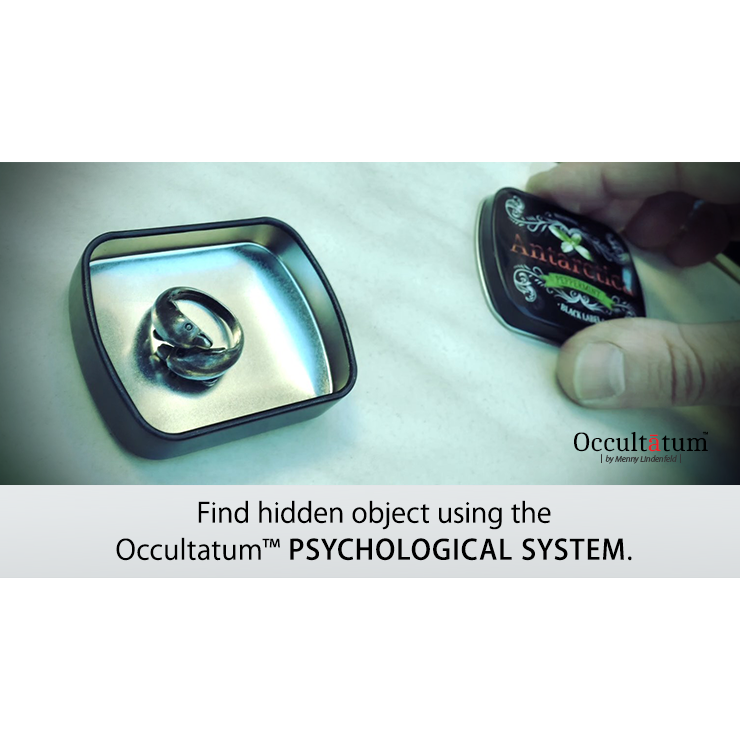 Occultatum is your secret mentalism weapon that will make you feel like a real psychic every time you demonstrate it. The Occultatum psychological system using two (2) unmarked containers. 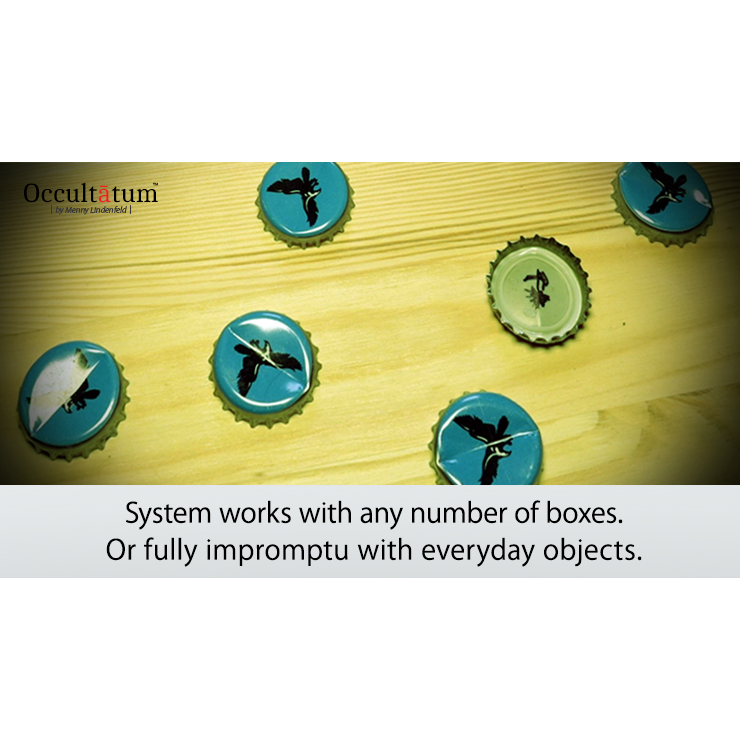 The Occultatum psychological system using multiple containers (any number of containers can be used). Occultatum variation using your own business cards. How to perform Occultatum impromptu. To perform Occultatum on stage (with real basketball). 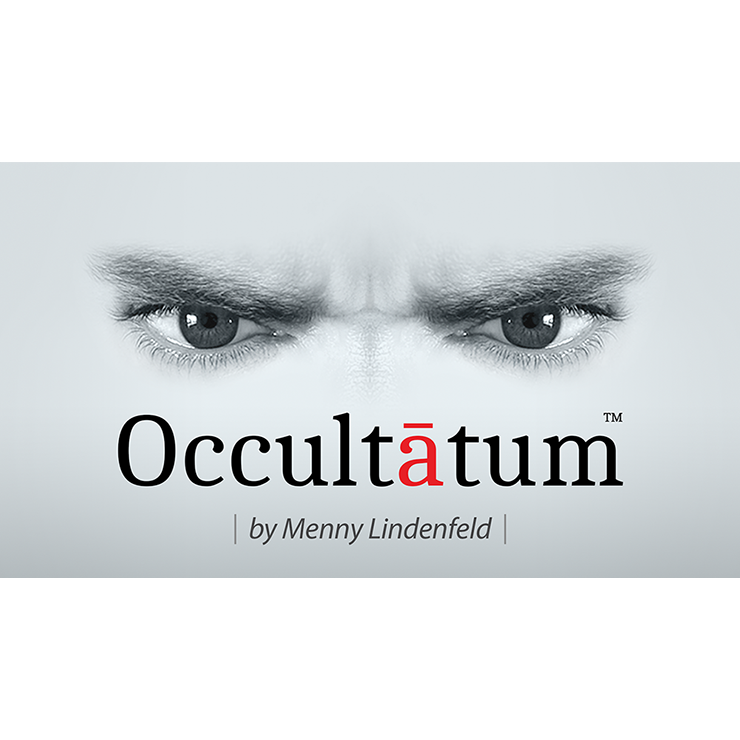 "OCCULTATUM by Menny Lindenfeld: EXCELLENT! I very rarely review magic, however this is something you've got to be made aware of - it is very special! I have always loved the premise of the effect where the spectator hides a small object in a unknown location and you find it! I have done the Koran effect with three coffee cups and ring for more years than I can remember! However OCCULTATUM takes this to a whole new level. I would imagine that a lot (most) magicians that purchase this effect will probably only watch the first 20 minutes of the excellent tutorial and by then will have learnt the method, however this is only 10% of the real secret! I really urge you to watch and digest the remaining one hour 40 minutes where Menny goes into great detail of his superb presentation skills, his essential body language and the psychology behind this piece of what the spectators will perceive as being you to be something out of the ordinary. Otherwise all you will have is a good magic trick rather than a reputation making piece of pure beauty!"